Midstream Business Segment. Phillips 66 primarily conducts its Midstream operations through DCP Midstream, LLC, a 50 percent joint venture with Spectra Energy and one of the largest natural gas gatherers and processors in the United States, as well as the largest producer of NGL in North America. Now in its 13th year of operations, DCP Midstream is a full-service provider of gathering, processing and NGL logistics services with strategically located assets in liquids-rich developments. The gas collected by DCP Midstream is processed at 61 owned or operated plants and treaters. Growth in liquids-rich developments in the United States is driving infrastructure demand and expansion opportunities for our Midstream segment. DCP Midstream has $4 billion in major projects currently in execution, including two major pipeline projects. The Southern Hills Pipeline will run more than 900 miles to Mont Belvieu, Texas, with a target capacity of more than 150,000 barrels per day of NGL. The project is expected to start up in mid-2013. The Sand Hills Pipeline is a 720-mile NGL line that will run through the Permian and Eagle Ford basins to market centers along the U.S. Gulf Coast. Initial capacity will be 200,000 barrels per day, and service may be expanded to 350,000 barrels per day. The Sand Hills Pipeline will be phased into service, with the first phase completed by the third quarter of 2012 and the second phase expected as soon as the third quarter of 2013. Graphic from Phillips Presentation to USB Global Oil and Gas Conference May 21, 2013. Garland said during his analyst call on April 9, 2012 that Phillips 66's Midstream businesses are primarily conducted through our 50/50 JV with Spectra and DCP is one of the largest gatherers and processors of natural gas and NGLs. "DCP is one of the largest gatherers and processors of natural gas and natural gas liquids. We do hold assets outside of DCP. We have interest in three fractionators with a net capacity of 112,000 barrels a day.We also have a 25% interest in the Rex pipeline. When you look at our Midstream operations and particularly the DCP, they overlay some of the best shale plays in North America and so just superbly positioned to capture significant growth opportunities. DCP, like CPChem, leads its peers in terms of economic return on assets." DCP Midstream, is a 50-50 joint venture with Spectra that helped counteract poor refining performance last quarter for ConocoPhillips. "The fundamentals of the business could not look better," said Spectra CEO Greg Ebel. "DCP operates in liquids-rich areas. In those areas, we are seeing dramatic volume growth, which is helping overcome low natural gas prices for our consumers." Phillips 66 primarily conducts its Midstream operations through DCP Midstream, LLC, a 50 percent joint venture with Spectra Energy and one of the largest natural gas gatherers and processors in the United States, as well as the largest producer of NGL in North America. Now in its 13th year of operations, DCP Midstream is a full-service provider of gathering, processing and NGL logistics services with strategically located assets in liquids-rich developments. The gas collected by DCP Midstream is processed at 61 owned or operated plants and treaters. Growth in liquids-rich developments in the United States is driving infrastructure demand and expansion opportunities for our Midstream segment. DCP Midstream has $4 billion in major projects currently in execution, including two major pipeline projects. The Southern Hills Pipeline will run more than 900 miles to Mont Belvieu, Texas, with a target capacity of more than 150,000 barrels per day of NGL. The project is expected to start up in mid-2013. The Sand Hills Pipeline is a 720-mile NGL line that will run through the Permian and Eagle Ford basins to market centers along the U.S. Gulf Coast. Initial capacity will be 200,000 barrels per day, and service may be expanded to 350,000 barrels per day. The Sand Hills Pipeline will be phased into service, with the first phase completed by the third quarter of 2012 and the second phase expected as soon as the third quarter of 2013. "We're investing significantly in both NGL pipelines and gathering, processing capability.When we look at the increased shale production, we believe there's about $70 billion to $80 billion worth of industry investment needed in infrastructure. Of that, about $21 billion has already been announced. And roughly $6 billion of the $21 billion is DCP's announced investments. When you look at DCP's assets, they overlay some of the best shale opportunities in the world today, places like the Eagle Ford, the Permian, the Anadarko, the Niobrara and others. DCP is just superbly positioned to capture and create value in this area and there remains considerable, additional opportunity in this space." Nasdaq reported on January 4, 2017 that DCP Midstream, a 50/50 joint venture between Phillips 66 and Spectra Energy, and DCP Midstream Partners, announced that they have signed and closed a transaction combining all of the assets and debt of DCP Midstream with DPM, simplifying the corporate structure and creating the largest natural gas liquids or NGL producer and gas processor in the United States. The new company (DPM) will construct a new 200 MMcf/d cryogenic natural gas processing plant (Mewbourn 3) in the DJ Basin, its tenth plant in the basin, projected to be in service by the end of 2018. Additionally, DCP collaborated with several key producers to form a cooperative development plan which provides a framework to add another 200 MMcf/d plant by mid-2019. Together, these projects will increase capacity by 50 percent to 1.2 billion cubic feet per day to support growing processing needs of producers. DPM will also complete the next phase of its Grand Parkway low pressure gathering project and associated compression expansions by the end of 2018. DPM is in the process of constructing additional field compression and plant bypass infrastructure that will add approximately 40 MMcf/d of incremental capacity during the summer of 2017. The new plants will connect to the Front Range Pipeline, one-third owned by DPM, for NGL takeaway to Mont Belvieu, Texas. Total capital investment for the plant and associated gathering is expected to be up to $395 million. DPM will expand NGL takeaway capacity on Sand Hills Pipeline by 30 percent, or 85,000 barrels per day (BPD) to 365,000 BPD, through the addition of four pump stations and a pipeline loop (Sand Hills expansion) to meet NGL production growth from owned and third party plants in the Delaware Basin. Phillips announced during their earnings release on July 29, 2016 that in Midstream, the Freeport LPG Export Terminal is nearing completion. The project is on budget with startup expected by year-end. FuelFix reported on April 5, 2016 that Denver-based DCP Midstream, a pipeline and gas processing joint venture between Phillips 66 and Spectra Energy, is eliminating 300 positions nationwide. After the 300 cuts, DCP will still employ about 2,900 overall. In a prepared statement, DCP Chairman and CEO Wouter van Kempen said the joint venture reduced its 2016 capital budget down to $250 million. In comparison, Phillips 66’s contribution alone to DCP’s capital budget last year was $550 million. Van Kempen noted DCP completed most of its capital construction program last year. “This is a challenging environment that we are managing through and we continue to execute on our strategy to reset our break-even cost to ensure we are the most reliable, safe, low-cost midstream services provider sustainable in any environment,” van Kempen said in a prepared statement. Albert Alfonso wrote an analysis piece on DCP Midstream in Seeking Alpha on September 13, 2015 that says that DCP Midstream has been struggling this year due to much lower commodity prices and the low price of NGLs have really hit hard, lowering profit margins and putting its financial health at risk. "While typically a midstream operator does not take on much risk, DCP Midstream's contracts are often based on commodity margins," writes Alfonso. "The pace of the decline in NGLs, whose price is often linked to crude oil, has fallen. Furthermore, certain NGL components are also facing massive oversupply issues, such as propane and butane, while others are now so cheap that it is not worth extracting, such as ethane." Phillips 66 will contribute $1.5B in cash to DCP Midstream while Spectra Energy offers up its share in both the Sand Hills and Southern Hills NGL pipelines to provide a financial boost to DCP Midstream. According to Alfonso DCP Midstream will be able to improve its liquidity, lower leverage, and bolster its balance sheet via this tranaction. "As DCP Midstream's sponsors and owners, Phillips 66 and Spectra Energy were pretty much obligated to help," writes Alsonso. "The company has previously been at risk of a credit rating downgrade as it was close to breaching its bank covenants." The Houston Chronicle reported on September 8, 2015 that Spectra Energy and Phillips 66 will attempt to prop up their troubled natural gas liquids joint venture with $1.5 billion in cash and a share of two pipelines. DCP Midstream has been in trouble since last year as prices for the fuels have fallen and Spectra and Phillips 66 pushed DCP Midstream into a corporate restructuring earlier this year. In February, DCP Midstream announced plans to cut about 20 percent of its corporate staff and consolidate much of its remaining workforce in Denver and Houston. The latest transaction is intended to shore up the company’s balance sheet and ease its access to credit, the two companies said in the announcement. “The contribution of the one-third interests in Sand Hills and Southern Hills will diversify DCP Midstream by enhancing the balance of fee-based assets while building on the re-contracting work already underway,” said Greg Ebel, chairman and CEO of Spectra Energy, in a written statement. Rhiannon Meyers reporred at Fuelfix on July 31, 2015 that Phillips 66 remains committed to working out a plan to restructure DCP Midstream, the Denver-based pipeline and natural gas processing company that it owns as part of a joint venture with Spectra Energy, despite its well-publicized troubles and the collapse in commodity prices. “DCP is addressing the challenges associated with the lower energy price environment and continue to deliver on cost reduction targets while providing reliable service to their customers,” Greg Maxwell, executive vice president and chief financial officer said in an earnings call with investors Friday. “We are continuing to work with our co-venturer to evaluate alternatives to address DCP’s capital structure.” Dismissing doomsday predictions about DCP Midstream’s future, Maxwell said the company continues to have liquidity thanks to its access to a $1.8 billion revolving credit facility. The company also continues to see good volumes in core areas of the Permian and Eagle Ford shales in Texas. The company, which is among the largest natural gas gathering firms in the nation, has been hit hard by falling natural gas liquids prices and has been undergoing a corporate restructuring since earlier this year. The company has slashed costs — eliminating or relocating 200 jobs and trimming its corporate budget by 20 percent — but additional work needs to be done to decrease DCP’s financial leverage, Phillips 66 executives said during an earnings call with investors on July 31, 2015. Phillips 66’s Midstream segment second-quarter adjusted earnings were $48 million, a decrease of $19 million from the first quarter of 2015. Phillips 66’s Transportation business generated earnings of $65 million during the second quarter, consistent with the first quarter. Volume increases associated with higher refining utilization in the second quarter were offset by a favorable claim settlement in the first quarter. Earnings from the NGL business were $8 million for the second quarter of 2015. The $6 million decrease from the prior quarter was largely related to seasonally lower propane volumes, as well as lower realized margins. Phillips 66 Partners (PSXP) contributed $25 million to the Midstream segment's second-quarter earnings. Distributions per limited partner unit increased by 8 percent from the first quarter to $0.40 per unit. Distributions to Phillips 66 from PSXP were up 19 percent in the second quarter, reflecting the impact of its incentive distribution rights. For the second quarter of 2015, the company’s equity investment in DCP Midstream, LLC (DCP Midstream) had an adjusted loss of $25 million, compared with a $12 million loss in the prior quarter. DCP Midstream's lower results in the quarter were primarily driven by the loss on the sale of its interest in the Benedum gas processing plant located in Texas. Both quarters were negatively impacted by low natural gas and natural gas liquid (NGL) prices. During the second quarter of 2015, DCP Midstream recognized a partial impairment of goodwill. This impairment was due to the extended downturn in energy prices. As a result, earnings from Phillips 66’s equity investment in DCP Midstream were negatively impacted by $126 million after-tax. Bakken.com reported on April 15, 2015 that crews with DCP Midstream and the Ector County Environmental Office are assessing an oil spill that took place April 14, 2015 in West Odessa. According to Scott McMeans, supervisor at DCP Midstream, the low-pressure pipeline was a natural gas line that leaked due to corrosion causing oil to flow out. McMeans said that sometimes when oil producers have an upset at their tank batteries they can carry oil through the natural gas line, which was the case with the line that leaked Tuesday afternoon. “It is unintentional by both parties but it happens from time to time,” McMeans said. McMeans also said that clean up would take about 48 hours and about two barrels of oil were released until the line was shut off. Phillips 66 announced on December 5, 2014 that in Midstream, excluding DCP, Phillips 66 plans to invest $3.2 billion in its Natural Gas Liquids (NGL) and Transportation business lines. Midstream capital includes approximately $200 million expected to be spent by Phillips 66 Partners to support organic growth projects. In NGL, the company continues construction of the 100,000 barrel-per-day Sweeny Fractionator One and the 4.4 million-barrel-per-month Freeport LPG Export Terminal on the U.S. Gulf Coast. In Transportation, the company is investing in pipeline and rail infrastructure projects to move crude oil from the Bakken/Three Forks production area of North Dakota to market centers throughout the U.S. In addition, expansion of the Beaumont Terminal and related infrastructure opportunities are being pursued. Phillips Partners LP and Paradigm Energy Partners, LLC announced that they have executed agreements to form two joint ventures to develop midstream logistics infrastructure in North Dakota. Consisting of two previously announced projects, the Sacagawea Pipeline (the “Pipeline JV”) and the Palermo Rail Terminal (the “Rail JV”), the joint ventures are designed to enhance logistical options for crude oil transportation in the Bakken region. Pipeline JV will own and construct a crude oil storage terminal,a central delivery point for various crude gathering systems located in Keene, North Dakota (the “Paradigm CDP”). The Sacagawea Pipeline project is a 76-mile pipeline being developed to deliver crude oil from various points in and around Johnson’s Corner and the Paradigm CDP, located in McKenzie County, to destinations with take away options for both rail and pipeline in Palermo and Stanley, located in Mountrail County. In October, Paradigm recently extended an open season for the pipeline, which is expected to close on December 15. Rail JV will own the Palermo Rail Terminal, a crude oil rail-loading facility, designed to have an initial capacity of 100,000 b/d, with the flexibility to be expanded to 200,000 b/d. The terminal will have direct access to the Sacagawea Pipeline and provide East and West Coast rail access for third-party shippers through the BNSF railway. The transactions are expected to close in the fourth quarter of 2014 and both the pipeline and rail terminal are expected to commence commercial operations in the first quarter of 2016. The issue, the landowners say, is that any slight movement in the water stirs up a glossy sheen. They claim it is residual oil left from the initial spill. Records from the OCC indicated the pipeline spilled about a barrel of oil, but the company only recovered half a barrel of material. The landowners invited Fox 25 to visit the creek this summer, more than a year after the spill and eight months after the final cleanup was deemed complete. On our visit the landowner stirred the creek and a glossy sheen appeared on the water. A soil sample dug from the bottom of the creek revealed a strong odor of oil and was greasy to the touch. “There is absolutely a problem,” Canaday says, “And to each of those people that we've had come out and say it's not that big of a problem; we haven't seen anybody take a drink or take a bottle of water out of there themselves.” The corporation commission says DCP has been willing to do anything they've been asked and that company has voluntarily helped with the cleanup and containment of other pipeline spills they were not responsible for in the past. NewOK reported on August 21, 2014 that fourworkers were injured in Garvin County in a fire while a crew was performing maintenance on a natural gas pipeline operated by DCP Midstream. The natural gas line fire was quickly extinguished and the workers were taken to the hospital in Lindsay, where they were treated and released. DCP reported the incident to the proper regulatory authorities and will investigate further on its own to determine what happened. The Tribune reported on July 26, 2014 that the 435-mile long Front Range Pipeline, which began operating in February 2014, is expected to become increasingly important as the state’s production of natural gas liquids continues to grow. that runs through eastern El Paso County has positioned Colorado to take advantage of the burgeoning market for natural gas liquids. The pipeline, owned by Texas-based Enterprise Product Partners and Anadarko Petroleum and Denver-based DCP Midstream, transports about 80,000 barrels of NGLs from Weld County, which sits atop the Denver-Julesburg basin, to Skellytown, Texas. 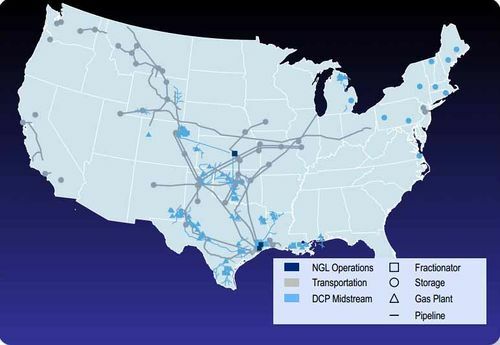 There, it connects to the Texas Express pipeline, which carries the liquids to Mont Belvieu, Texas, the largest NGL hub in the country. The liquids are then stored, processed and distributed. The joint venture offers Colorado NGL producers a direct route to Mont Belvieu. Before construction of the Front Range Pipeline, Colorado NGL producers transported their products using the Overland Pass and Mid-America pipelines, both of which pass through the state’s oil and gas basins. Reuters reported on March 14, 2014 that China's largest state refiner, Sinopec Corp, said it had entered a long-term deal to buy liquefied petroleum gas (LPG) from Phillips 66, showing the U.S. shale drilling boom is having an impact on Asian markets. Sinopec, which plans to use the LPG as a petrochemical feedstock, didn't give any details of the contract, the amounts or when the supply starts. Phillips said last October it would develop a $1 billion LPG export terminal at Freeport, Texas, with a capacity of 4.4 million barrels per month, with start-up planned for the middle of 2016. Analysts say the U.S. LPG export boom will be aided by the expansion of the Panama Canal, allowing the passage of so-called very large gas carriers (VLGC) from 2015 and reducing the cost of freight by cutting the sailing time from the United States to Asia by more than two weeks. Greg Garland told security analysts at the Credit Suisse Global Energy Summit on February 12, 2014 that Phillips has named the frack at Sweeny Frack 1 for a reason. "Because there will be Frack 2, Frack 3. We're looking at other fracks not just in Sweeny as we look at the footprint and where we think the capacity is going to be needed for additional frack capacity on the, let's say the U.S. Gulf Coast," said Garland. "We have $4 to $6 billion worth of investments that we see over the next couple years at DCP. You should expect that we will fund the majority of those investments by dropping assets from DCP into DPM. That we'll use DPM as really the vehicle to play out these investments." RTT News reported on February 7, 2014 that Phillips Board of Directors gave approval to go ahead on the Sweeny Fractionator One and Freeport Liquefied Petroleum Gas (LPG) Export Terminal representing an investment of more than $3 billion in the company's Midstream Business Segment. 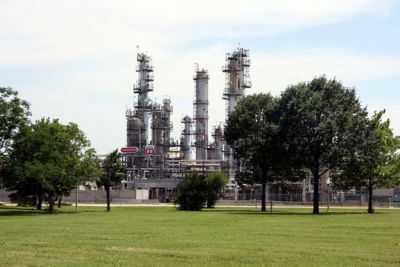 The Sweeny Fractionator One will be located in Old Ocean, Texas, close to the company's Sweeny Refinery, and will supply purity natural gas liquids (NGL) products to the petrochemical industry and heating markets. The 100,000 barrel-per-day NGL fractionator is expected to start up in the third quarter of 2015. The Freeport LPG Export Terminal will be located at the site of the company's existing marine terminal in Freeport, Texas, and will have an initial export capacity of 4.4 million barrels per month, the equivalent of eight very large gas carriers, with a ship loading rate of 36,000 barrels per hour. Startup of the export terminal is expected in mid-2016. "Given the anticipated growth in natural gas liquids production, we see substantial advantages in having fractionation and export facilities on the Gulf Coast outside of Mont Belvieu. These projects allow us to maximize our existing infrastructure and will position us for further growth," said Tim Taylor, executive vice president, Phillips 66 Commercial, Marketing, Transportation and Business Development. The Oil and Gas Journal reported on January 4, 2014 that Phillips 66 Pipeline LLC, a wholly owned subsidiary of Phillips 66, will build its 180,000-b/d Cross-Channel Connector refined product pipeline project, expanding transportation capacity across the Houston Ship Channel. The Cross-Channel Connector will combine a 20-in. OD reactivated pipeline under the HSC and expansion of a second active 20-in. line in Pasadena. Phillips 66 plans to connect to Magellan Midstream Partners’ refined product pipeline for transportation from HSC’s south side to Magellan and Kinder Morgan Energy Partners systems on the north side of the channel at Galena Park and East Houston. "Transportation at Phillips 66 is part of our growing Midstream business," said Debbie Adams, president, Phillips 66 Transportation. "The Cross-Channel Connector project is a key investment to help us leverage our infrastructure and the opportunities of the North American energy renaissance." The company anticipates the project could be complete as early as the fourth quarter of 2014, subject to the receipt of necessary permits and regulatory approvals. The Cross-Channel Connector is expected to have an initial system capacity of up to 180,000 barrels per day. The Phase 2 expansion could add an additional 50,000 barrels per day of capacity. Phillips reported on December 6, 2013 that they plan to invest $2.167 Billion in 2014 in their Midstream Business Segment including $1.417 in direct investment and $0.750 Billion in investment with affiliate groups. Phillips expects to begin construction of a 100,000 barrel-per-day NGL fractionator and a 4.4 million-barrel-per-month liquefied petroleum gas export terminal on the U.S. Gulf Coast. In addition, several rail offloading facilities and other crude handling projects will increase the company’s access to advantaged refining feedstocks. Phillips 66 Transportation is also developing pipeline expansion and connection projects that will grow capacity and allow for greater refined product exports. Phillips expects to invest $750 Million in DCP, a 50/50 joint venture with Spectra Energy. DCP anticipates leveraging its existing NGL infrastructure to initiate new gathering and processing growth projects, mainly in the North and Permian regions. DCP also expects to increase natural gas processing capacity in the Denver-Julesburg Basin and complete other gathering system expansions during 2014. Garland told analysts at the third quarter earnings conference on October 30, 2013 that Phillips may build a 100,000 barrel-per-day NGL fractionator at Phillips Sweeny complex along with the associated infrastructure. "We expect that first we’ll incubate the project at Phillips 66 and eventually drop them in to Phillips 66 Partners. 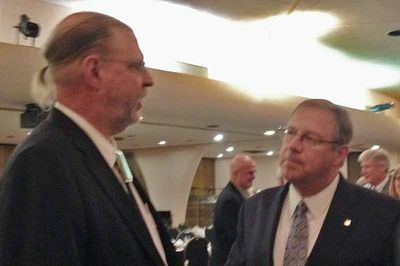 Potential candidates for this approach would include the 100,000 barrel-per-day NGL fractionator at our Sweeny complex along with the associated infrastructure," said Garland. "Startup of the frac is expected in 2015 with the export facility following closely to 2016. We’ve seen increasing number of opportunities to participate in the NGL market and we will use our midstream business to supply petrochemical, heating and transportation markets globally. The combination of refining free cash flow and our MLP provides us with a unique position and options to accelerate our growth in the midstream space." Garland told analysts at the third quarter earnings conference on October 30, 2013 that Phillips is "developing an LPG export terminal project at Freeport, Texas. The LPG export facility is expected to enable us to take advantage of the Company's existing midstream transportation and towards infrastructure." Garland added that combining NGL fractionator project and the LPG export terminal project represented two discrete $1 billion investment over the next 2 to 3 years. "Ultimately once we're up and running at full capacity we expect these projects to generate on the order of $400 million to $500 million of EBITDA annually." 4-traders reported on October 28, 2013 that Activist investor Sandell Asset Management is urging Spectra Energy Corp to swap its interest in DCP Midstream Partners LLC for equity in Phillips 66's master limited partnership in a deal meant to improve the valuation of the companies, according to a letter seen by Reuters. Sandell, which owns less than 1 percent of pipeline company Spectra and 1 percent of refining company Phillips 66, said in a letter dated October 2 it believes DCP's assets are a better fit with Phillips. DCP is jointly owned by Spectra and Phillips 66. The letter marks the second time since June that Sandell has pressed Spectra for changes. Sandell said in the earlier letter that it believes Spectra is undervalued and should trade around $48 per share, 33 percent above its Friday closing price of $35.95. Gary Gerew reported in the Albuquerque Business Journal on April 19, 2013 that DPC Midstream plans to build a gas plant on 164 acres in Lea County and a 50-mile pipeline that will run through Eddy County for the collection of natural gas from operators in Eddy and Lea counties. “Right now, we are following regulatory requirements, evaluating the feasibility of the project and understanding our customer’s needs,” said DCP spokewoman Lisa Newkirk. Robert Gomez, BLM realty specialist, said DCP Midstream has requested access to public lands to construct the gas plant and pipeline. Steve Block reported in the Trinidad Times on April 19, 2013 that a proposed 13.75-mile pipeline section planned to go through northeast Las Animas County, Colorado is awaiting approval from the county planning commission and then the county board. As designed, the pipeline has a capacity of 150,000 barrels per day, which could be readily expanded to approximately 230,000 barrels per day and could begin service in the fourth quarter of 2013. 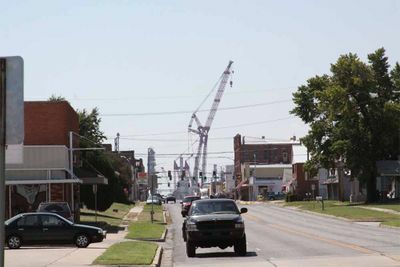 Permit land agent Mike Rutherford said the company thought it only needed a special-use permit from the county for the project, which it had in hand before the state gave its final approval. It later turned out that it also needed a 1041 permit under county regulations. “We thought it was just going to be an SUP only and we already had that,” Rutherford said. “I guess if we’d known it was going to be a full-blown 1041, we could have gotten that four or five months ago, and been through this temporary approval process months ago.” The permitting process requires public notice of the application, followed by a 30-day period for comment from interested parties to the county board. Meanwhile, the application must work its way through the planning department approval process. Fourteen days after that, the planning commission and county board can approve the application at the same time, thus speeding up the process. Dixie Newnam, county attorney, said the entire process could take 45 – 60 days from the time the application was submitted. Abigal Curtis reported in the Bangor Daily News on April 2, 2013 that DCP Midstream is withdrawing thire application to build a controversial liquid propane gas terminal and storage tank project at Mack Point in Searsport. “We really, really wanted to do business in Maine,” said Roz Elliott, spokesperson for Denver-based DCP Midstream, citing the Searsport Planning Board’s initial meetings last week to review the $40 million project before issuing a final decision later this spring. “It’s unfortunate, but with these local circumstances, we don’t forsee doing future capital development in Maine.” The board members found that certain elements of the project did not meet the town’s ordinances. “Very extensive time, resources, passion — we really believed in this,” Elliott said, adding that the company decided to withdraw the application “as a courtesy” to the Searsport Planning Board. Mike Thomas reported in the San Antonio Business Journal that DCP Midstream Partners LP has completed its acquisition of an additional 47 percent interest in an Eagle Ford joint venture for $626 million bringing its stake inthe partnership up to 80 percent. The partnership also increased its ownership in a cryogenic processing plant at Goliad with a capacity of 200 million cubic feet per day that is under construction. The new plant is expected to be complete by the first quarter of 2014 and would be one of the largest gathering and processing plants in the Eagle Ford Shale play. 4-traders reported on April 2, 2013 that Phillips is pursuing development of a 100,000 barrel-per-day natural gas liquids (NGL) fractionator to be located in Old Ocean, Texas, close to the company's Sweeny Refinery. NGL feedstock for the Old Ocean fractionator project would be supplied by several nearby pipelines avoiding the Mont Belvieu congestion, and purified products produced by the fractionator would be marketed primarily to petrochemical customers in the region with access to Mont Belvieu. "This project would enable us to take advantage of strong existing midstream transportation and storage infrastructure along with demonstrated operations excellence," said Phillips 66 Chairman and CEO Greg Garland. "We see excellent market-facing opportunities to grow the natural gas liquids business, and the chance to supply purity NGLs and liquefied petroleum gas to the petrochemical industry and heating markets." The project is currently in the engineering design phase, and the company is in the process of filing for all applicable permits. Reuters reported on March 27, 2013 that Phillips has registered for an initial public offering of units in a midstream partnership that would raise $300 million and will trade on the New York Stock Exchange under the "PSXP" ticker symbol. The IPO is expected to include the Clifton Ridge oil pipeline and storage system in Louisiana and refined product pipelines and storage in Texas and Illinois: Sweeny-Pasadena and Hartford Connector, respectively. Mella McEwen reported in the Midland Reporter-Telegram on March 13, 2013 that DCP Midstream LLC is spending $1 billion on projects, including the new Sand Hills Pipeline, a natural gas liquids pipeline that will carry natural gas liquids from the Permian Basin and Eagle Ford Shale to the Gulf Coast, including the fractionation complex at Mont Belvieu. The Eagle Ford leg of the pipeline came online late last year and the Permian Basin portion will begin coming online this summer, reports Greg Smith, newly named president of the midcontinent and Permian business units. DCP's new Rawhide Plant, a 75 million cubic feet per day natural gas processing plant is also under construction in Glasscock County. DCP currently operates 17 gas processing plants in the Permian Basin with processing capacity of 1.3 billion cubic feet per day, recently adding 150 million cubic feet per day of processing capacity through the expansion and restart of existing facilities. Greg Garland told analysts at the 4th quarter earnings conference on January 30, 2013 that although NGL prices were down 36% compared to 2011, return on capital employed for the year was still strong at 22%. Midstream's adjusted earnings for 2012 were $62 million, includes $38 million in earnings associated with Phillipsinterest in DCP Midstream and $24 million for other Midstream businesses. "We ended the quarter with $1.3 billion in capital employed in our Midstream segment," said Garland. "And as I said earlier, during the fourth quarter we closed our investments in the Sand Hills and the Southern Hills pipelines that are being constructed by DCP Midstream, and these pipes are scheduled for startup this year." The Republican Journal reported on January 8, 2013 that about 200 people turned up at Mosman Park on January 5, 2013 and formed a circle to show the footprint of a 137-foot-tall liquefied petroleum gas storage tank proposed for Mack Point. Phillips 66 reported at their inaugural Analyst Meeting on December 13, 2013 that DCP Midstream plans to invest $2.2 billion primarily for new logistics infrastructure and NGL production during 2013. Permian Basin reported on December 5, 2012 that two gas lines exploded outside of the DCP Midstream plant near Goldsmith around 6 PM and a large fire also broke out in the area of the explosion. The owner of the ruptured lines -- West Texas Gas -- shut off 4 miles of the line and let the fire burn out while DCP Midstream evacuated all employees from their plant safely after the explosion happened. The Sacramento Bee reported on November 15, 2012 that Spectra Energy Corp announced it has closed its previously announced acquisition of a one-third interest in the Sand Hills and Southern Hills pipelines, both of which currently are under construction by DCP Midstream, a 50/50 joint venture between Spectra Energy and Phillips 66. Spectra Energy, Phillips 66, and DCP Midstream each own a one-third interest in the two pipelines – and will equally fund the remaining capital expenditures through completion. The aggregate investment by Spectra Energy in the two pipeline projects is expected to be approximately $700-800 million. The Madison Record reported on November 12, 2012 that the federal government last week sued and reached a proposed settlement with thePhillips 66 Pipeline LLC in St. Clair County seeking to recover some of the money it spent on cleaning up the Rogers Cartage Site in Cahokia after the Environmental Protection Agency (EPA) issued an enforcement action memorandum in 2011 noting the presence of polychlorinated biphenyls (PCBs) at the site and directing Phillips 66 to excavate and remove about 16,575 tons of soil. Rogers Cartage Co. and its corporate parent, Tankstar Inc., were listed as potentially responsible parties to the contamination in a 2009 EPA liability notice. Phillips 66 received the notice as the current owner of the site. In 2011, Phillips 66 sued Rogers Cartage for cost recovery and injunctive relief. Phillips 66 will amend its complaint to pursue a claim for contribution if the proposed decree is approved. DCP Midstream issued a press release on October 24, 2012 announcing that Sand Hills Pipeline has initiated service on the first segment in South Texas online to provide service from the Eagle Ford Shale to Eagle Ford NGLs. Sand Hills will consist of approximately 720 miles of 20-inch pipeline with an initial capacity of more than 200,000 barrels per day, which can grow to 350,000 bbl/d with the installation of additional pump stations. "When finished, Sand Hills Pipeline will be a major link between the liquids-rich Eagle Ford and Permian producing regions and growing Gulf Coast markets," said Tom O'Connor, chairman and chief executive officer of DCP Midstream. The Free Press reported on September 7, 2012 that the Maine Fuel Board has issued a permit to DCP Midstream to build a 22.7 million gallon propane storage tank in Searsport, the final permitting hurdle at the state and federal levels. The next step is for the company to submit the complete site application, including all state and federal permits, to the Searsport planning board for review. Emily Pickrell wrote in Fuel Fix on September 2, 2012 that DCP Midstream took a hit in the second quarter along with many companies in the natural gas sector as natural gas prices are at decade lows, reducing the company's second-quarter net profit fell from $55 million in 2011 to $35 million in 2012 but Phillips 66 uses some of DCP’s natural gas liquids as feedstock for its chemical plants. “For Phillips 66, the low prices are a plus, not a negative. It almost mitigates the negative impacts of NGL prices,” says Fadel Gheit, an analyst with Oppenheimer & Co. “They are one of the largest chemical producers in the country.” Analysts predict that Phillips will continue to benefit as new chemical and processing plants come online in the next two to five years. “I think it’s a great place to be,” says John Stekla, an analyst with IHS. “The petrochemical industry is betting tremendous sums of money that NGLs will stay advantaged as a feedstock for the rest of the world. I have no doubt there will be huge growth in NGLs.” DCP has also set about building infrastructure to pick up gas at the wellhead and transport natural gas liquids to market centers on the Gulf Coast converting two pipelines to transport natural gas liquids to Mont Belvieu, a gas storage and processing center east of Houston. “We decided we probably should be looking harder at owning more natural gas liquids infrastructure and more natural gas liquids pipelines,” says Tom O’Connor, CEO of DCP Midstream, the entity that owns the general partner of DCP Midstream Partners, describing DCP’s strategy to position itself as the premier one-stop services company to get natural gas liquids from the well to customers. “We are on the front end of this energy revolution." Equities.com reported on August 24, 2012 that Bill Waldheim has been appointed to the position of president of DCP Midstream General Partner effective September 1, 2012. Bill Waldheim is currently the president of the natural gas liquids, gas, and crude oil logistics business unit for DCP Midstream, LLC, a position he has held since 2011. Prior to that time, Waldheim was president of DCP Midstream, LLC's northern business unit since 2009 and was responsible for executive management of commercial and operations of assets in the Midcontinent, Rocky Mountain, Michigan and Gulf Coast regions as well as being responsible for downstream marketing of gas, NGLs and condensate. "The Board believes that Bill Waldheim has the demonstrated leadership skills and capabilities to ensure the long term growth and stability of DCP Midstream Partners, LP, or the 'Partnership' as we continue to execute on our multi-faceted growth strategy with increased emphasis on co-investment with DCP Midstream, LLC," said Tom O'Connor, the chairman of the board of the General Partner. "Through Bill's leadership DCP has been able to advance numerous high value projects including Sand Hills and Southern Hills pipelines." Nasdaq reported on August 8, 2012 that DCP Midstream reported adjusted net income attributable to the company for the quarter was $13.9 million or $0.08 per limited partner unit, compared to the net income of $20.5 million or 0.33 per limited partner unit a year ago. The Denver Post reported on August 6, 2012 that DCP Midstream plans to double its capacity in the Denver-Julesberg Basin increasing processing capacity to 800 million cubic feet per day for natural gas and 70,000 barrels a day for liquids by 2014. "The Denver-Julesberg Basin continues to reinvent itself, and the introduction of horizontal drilling is uncovering associated natural gas discoveries in the Niobrara Shale and Codell formations," says Wouter van Kempen, president of the company's gathering and processing business unit. DCP Midstream recently broke ground on a plant, west of LaSalle in Weld County, with a capacity of 110 million cubic feet per day, due to be completed in the second half of 2013 and is also constructing two compressor stations near the LaSalle Plant, and an associated gathering system due to be in service by the second half of 2013. Marketwatch reported on July 26, 2012 that the board of directors of DCP Midstream declared a quarterly cash distribution of $0.67 per unit for the quarter ended June 30, 2012, an increase of 1.5 percent over the last quarterly distribution of $0.66 per unit paid May 15, 2012. Permian Basin 360 reported on July 25, 2012 that the Texas Commission on Environmental Quality fined DCP Midstream $631,628 for 11 different air quality violations found during an inspection at a DCP Midstream, LP site in Panola County on August 9, 2011. Denver Business Journal reported on July 13 that DCP Midstream LLC of Colorado broke ground in June on its $270 million processing plant in Weld County. DCP also recently grew its Mewbourn Plant just south of Greeley, to keep up with demand from clients working in theDenver-Julesburg Basin in northeastern Colorado. DCP Partners Midstream issued a press release on July 5, 2012 that the company had completed the acquisition of the Crossroads Processing Plant for $63 million. DCP Midstream Partners, a joint venture between Spectra Energy and Phillips 66, issued a press release on June 18, 2012 announcing that has entered into an agreement with Penn Virginia Resource Partners, L.P. ("PVR") to acquire the Crossroads processing plant and associated gathering system, for approximately $63 million. The Crossroads system, located in the southeastern portion of Harrison county in East Texas, includes approximately 8 miles of gas gathering pipe, an 80 million cubic feet per day cryogenic processing plant, approximately 20 miles of NGL pipeline and a 50% ownership in an approximately 11-mile residue gas pipeline. This system will allow the Partnership to increase critical midstream services to producers that are expanding their liquids rich Haynesville shale and Cotton Valley drilling programs in East Texas. "This immediately accretive acquisition provides us with an opportunity to increase our market position in East Texas and demonstrates our commitment to provide integrated midstream services to our customers," said Mark Borer, president and CEO of the Partnership. "The addition of the Crossroads system is a synergistic bolt-on acquisition to our existing East Texas system and will expand our processing capabilities to support our customers' growth." The Free Press reported on June 6, 2012 that Searsport officials met with representatives of DCP Midstream on June 4, 2012 to review the company's application to build a 23-million-gallon propane storage facility at Mack Point and found the application was missing a gas storage tank permit from the Maine Fuel Board and was also missing some minor but important documentation, including the square footage of each individual building and structure proposed for the development and written documents to town officials and abutting property owners informing them of the development. When the application is deemed complete, the planning board begins reviewing the contents of the application and must schedule a public hearing within 30 days. The Maine Public Broadcasting Company reported on June 1, 2012 that DCP Midstream's plan to build a 137-foot high, 23-million gallon liquid propane gas tank next to the Mack Point industrial area has generated heated opposition in communities along the midcoast as selectmen on the island community of Islesboro added their names to the list of people raising concerns about the tank. "Concerns about the project on the mainland have fallen into several categories," writes Jay Field. "There are those who say the tank is simply an eyesore that dwarfs all other industrial facilities in the area and threatens the sense of place on the midcoast. Others dread the large increase in truck traffic on Route 1 that will come if the project moves forward. Still others worry about the safety hazards of storing so much highly-flammable, liquid petroleum gas in one place." Even if it's approved, the project is all but certain to be challenged in court by opponents for years to come. 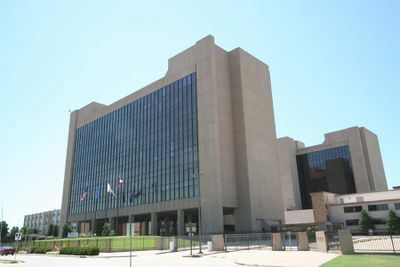 The Daily Oklahoman reported on June 18, 2012 that DCP Midstream has filed lawsuits in district court that seek eminent domain judgments against 14 property owners in Oklahoma County as landowners have rejected DCP offers to pay for a portion of their land and say they will fight to keep the company off their land. “It’s not a matter of money for most of us, it’s a matter of principle,” says Joe Freund, a retired physician who lives on 40 acres of forestland about a mile east of Arcadia who is concerned that clearing a 75-foot wide strip of forest that runs the length of his property would tarnish the aesthetics that attracted him to this plot in the first place. “They claim that it’s for the public good and perhaps it is, but they won’t even move their pipeline one inch to avoid taking down trees a hundred years old.” DCP Midstream says the pipeline would tie gathering and processing systems across central and western Oklahoma to their existing line and is part of $2 billion in capital investments currently under development by DCP. “It’s about de-bottlenecking for the producers and finally giving them an opportunity to get their product to market," says Roz Elliott, vice president at DCP Midstream, adding that DCP hopes to run 250 million cubic feet of liquid natural gas to coastal markets every day by the middle of 2013. ↑ MarketWatch. "Phillips 66 Debuts as Advantaged Downstream Company" May 1, 2012. ↑ AP. "Phillips 66 to Expand Sweeny Hub with 300,000 BPD of New Fractionation Capacity" June 13, 2018. ↑ Nasdaq. "DCP Midstream And DCP Midstream Partners Merge" January 4, 2016. ↑ FuelFix. "Phillips 66 joint venture cutting 300 jobs" by Jordan Blum. April 5, 2016. ↑ Seeking Alpha. "Phillips 66 And Spectra Energy Bailout DCP Midstream" by Albert Alfonso. September 13, 2015. ↑ Fuel Fix. "Phillips 66, Spectra Energy pump another $1.5 billion into DCP Midstream" by Robert Frattan. September 8, 2015. ↑ FuelFix. 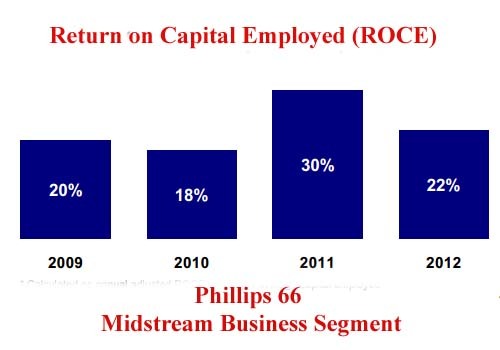 "DCP Midstream restructuring continues, Phillips 66 executives say" by Rhiannon Meyers. July 31, 2015. ↑ Bakken.com "Crews begin oil spill cleanup in West Odessa" April 15, 2015. ↑ Fox 25. "Oil spill in Oklahoma creek causes concern more than a year after cleanup" by Phil Cross. September 1, 2014. ↑ NewsOK. "Four are injured in pipeline fire near Lindsay" August 21, 2014. ↑ the Tribune. "Front Range Pipeline project gives an edge in gas liquids" July 26, 2014. ↑ FuelFix. "Phillips 66 buys big oil storage terminal on Gulf Coast" June 5, 2014. ↑ Reuters. "Sinopec buys LPG from Phillips 66 as Chinese tap U.S. shale boom" March 14, 2014. ↑ RTT News. "Phillips 66 Board Okays $3 Bln. Projects To Spur Midstream Growth" February 7, 2014. ↑ Oil and Gas Journal. "Phillips 66 to execute HSC Cross-Channel Connector" by Christopher E. Smith. January 4, 2014. ↑ Wall Street Journal. 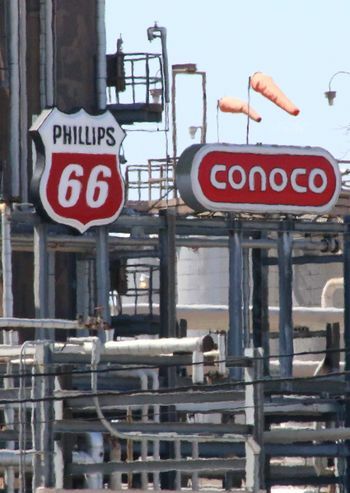 "Phillips 66 to Proceed with Cross-Channel Connector Project" January 23, 2014. ↑ 4-traders. "Exclusive: Activist Sandell urges strategic action on DCP Midstream" October 28, 2013. ↑ Albuquerque Business Journal "Gas plant planned near Carlsbad" by Gary Gerew. April 19, 2013. ↑ The Trinidad Times. "Pipeline permit delays project; Company would like to start June 1" by Steve Block. April 19, 2013. ↑ Bangor Daily News. "Developer withdraws proposed Searsport tank application" by Abigail Curtis. April 2, 2013. ↑ Antonio Business Journals "DCP Midstream Partners increases ownership in Eagle Ford venture" by Mike Thomas. April 2, 2013. ↑ 4-traders. "Phillips 66 : Proposes Fractionator in Old Ocean, Texas" April 2, 2013. ↑ Reuters. "Phillips 66 midstream vehicle registers for $300 million IPO" March 27, 2013. ↑ Midland Reporter-Telegram. "DCP Midstream pipeline to serve Permian Basin by mid-2013" by Mella McEwan. March 13, 2013. ↑ The Republican Journal. "Nearly 200 turn out for Saturday tank protest" January 8, 2013. ↑ Permian Basin 360. "No Injuries After Gas Line Explosion And Fire Near Goldsmith" December 5, 2012. ↑ Sacramento Bee. "Spectra Energy Corp Acquires One-Third Interest in Sand Hills and Southern Hills Pipelines" November 15, 2012. ↑ Madison Record. "Proposed consent decree reached over contamination at Cahokia site" by Bethany Krajelis. November 12, 2012. ↑ MarketWatch. "DCP Midstream Announces Opening of Sand Hills Pipeline Providing NGL Access from the Eagle Ford Shale" October 24, 2012. ↑ The Free Press. "Maine Fuel Board Approves Permit for Searsport Megatank" by Christine Parrish. September 7, 2012. ↑ Fuel Fix. "Company ramping up infrastructure for natural gas" by Emily Pickrell. September 2, 2012. ↑ Equities.com "DCP Midstream GP appoints new president" August 24, 2012. ↑ FuelFix. "CEO of DCP Midstream General Partner resigns" August 21, 2012. ↑ Nasdaq. "DCP Midstream Partners Q2 Profit Rises" August 8, 2012. ↑ Seeking Alpha. "DCP Midstream Partners' CEO Discusses Q2 2012 Results - Earnings Call Transcript" August 10, 2012. ↑ Denver Post. "DCP Midstream set to double processing capacity in Colorado" August 8, 2012. ↑ Marketwatch. "DCP Midstream Partners Declares Increase in Quarterly Distribution" July 26, 2012. ↑ Permian Basin 360. "T.C.E.Q. Fines DCP Midstream For Air Quality Violations" by Dylan Brooks. July 25, 2012. ↑ Denver Business Journal. "DCP Midstream expands to meet natural gas demand" by Paula Moore. July 13, 2012. ↑ Marketwatch. "DCP Midstream Partners Completes Crossroads System Acquisition in East Exas" July 5, 2012. ↑ BusinessWire. "DCP Midstream Partners to Expand East Texas Natural Gas Processing Business Through Acquisition of Crossroads Processing Plant" June 18, 2012. ↑ The Free Press. "Searsport Moving Forward on Building Large Propane Tank, Opposition Grows" by Christine Parrish. June 6, 2012. ↑ Maine Public Broadcasting Company. "Plan for Giant Propane Gas Tank in Searsport Generates Opposition" by Jay Field. June 1, 2012. ↑ NewOK.com "Oklahoma County property owners fight against gas pipeline" by Zeke Campfield. May 26, 2012. This page was last modified on 13 June 2018, at 20:29. This page has been accessed 13,258 times.